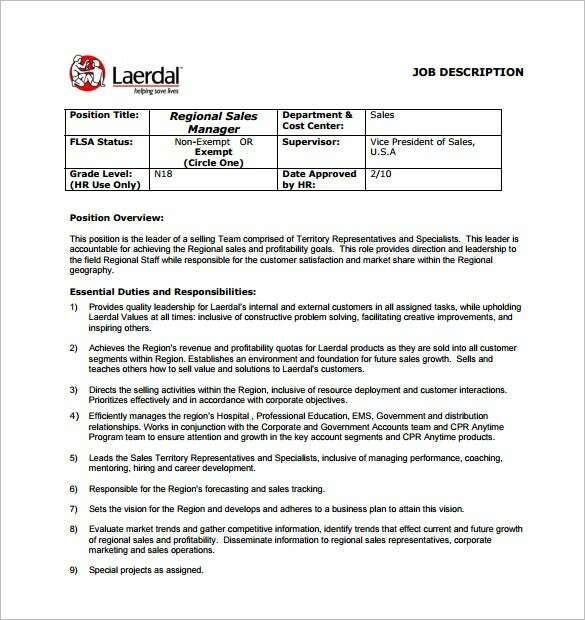 laerdaltraining.com | The regional sales manager job description template is in PDF format and is free of cost. 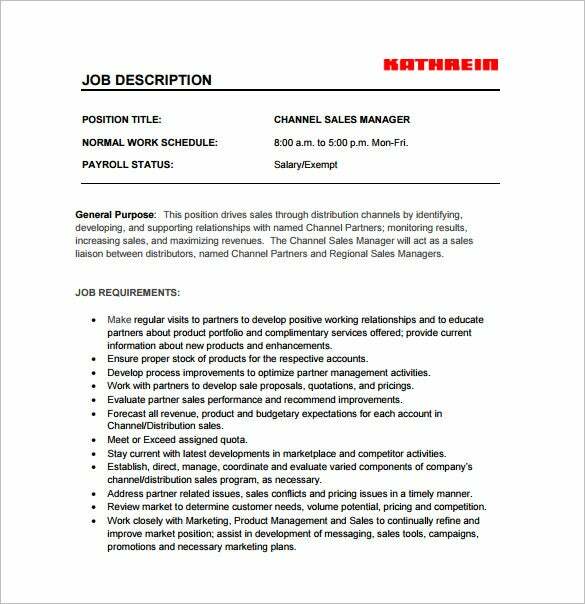 It can be used by large scale companies looking to recruit a regional sales manager to handle their sales department and sales staff. The template is easily editable, printer friendly and can be emailed too. 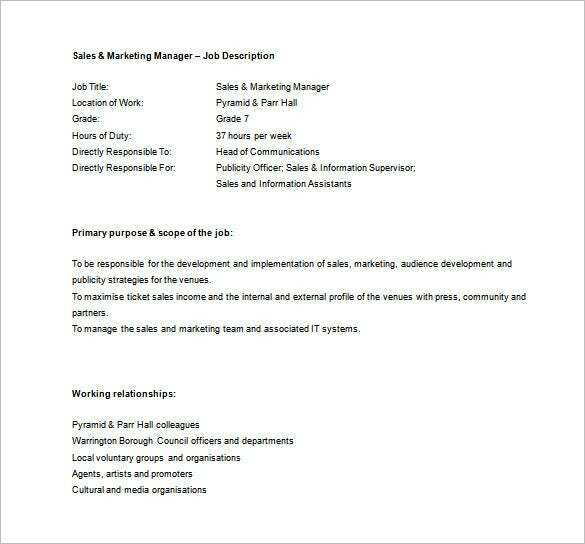 warrington.gov.uk | The sales and marketing manager job description is a free of cost Word document. The user can add details of the job profile, scope and purpose of the job, working relationship and other relevant and important information. This well drafted template can be easily downloaded and printed out or emailed. 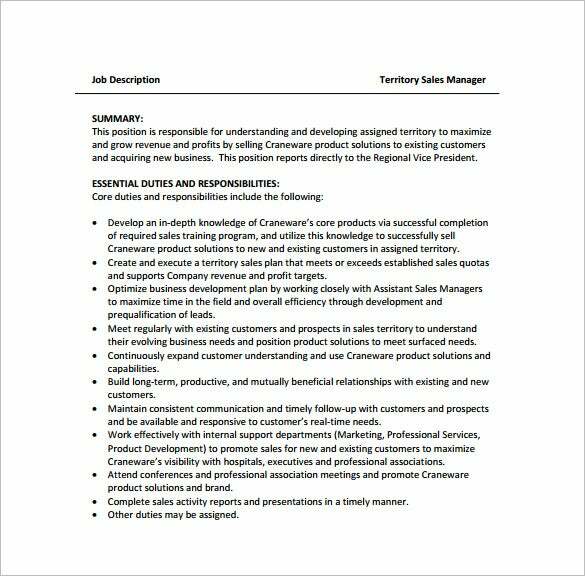 aptechnology.com | The area sales manager job description template can be used by a small and medium sized organisation that is on the prowl for an area sales manager. 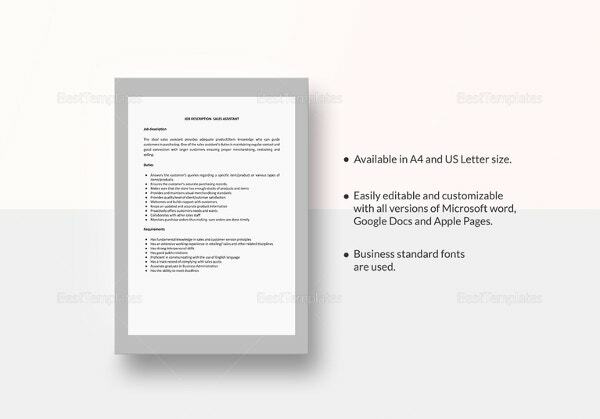 The template is a free of cost one and is available in PDF format. 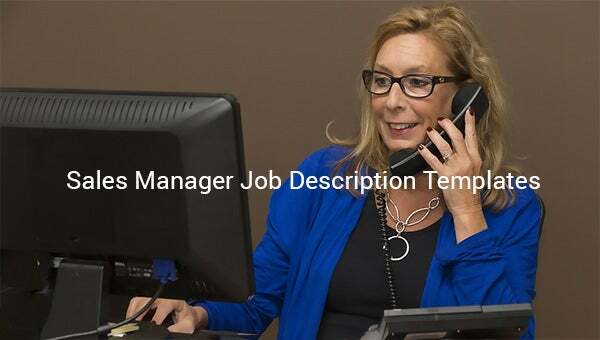 The user can add details of the job duties and responsibilities, desired skills and qualifications that the applicant must have and other information to this template. 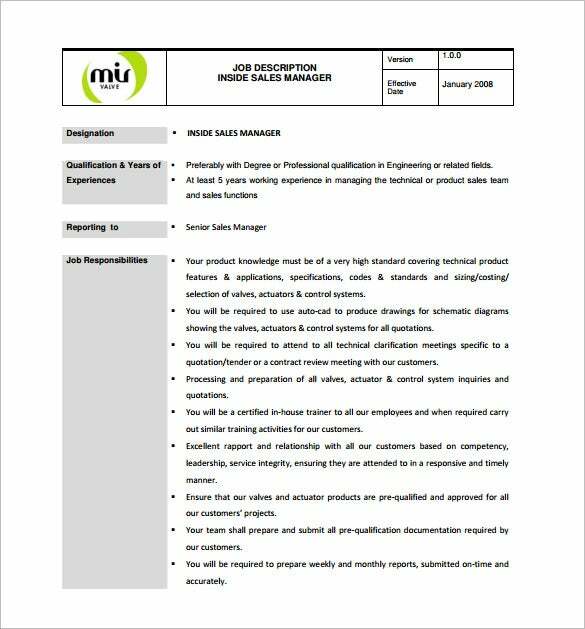 ikancorp.com | The national sales manager job description free of cost PDF template can be used by large scale companies and organisations that are looking to recruit a national level sales manager. The template can be easily edited, is printer friendly and can also be emailed. This template is easily downloadable. 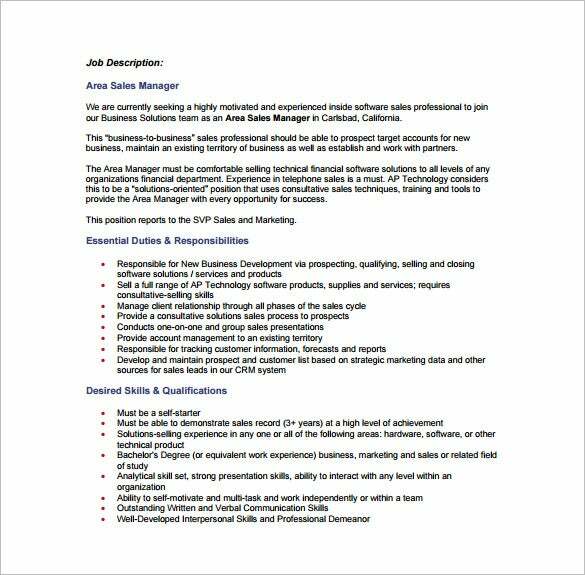 The main purpose behind the sales manager job description templates is to allow companies of all sizes and backgrounds to be able to hire new sales managers swiftly and easily. With the help of the templates one need not spend large amounts of money on getting a job description drafted by a professional. 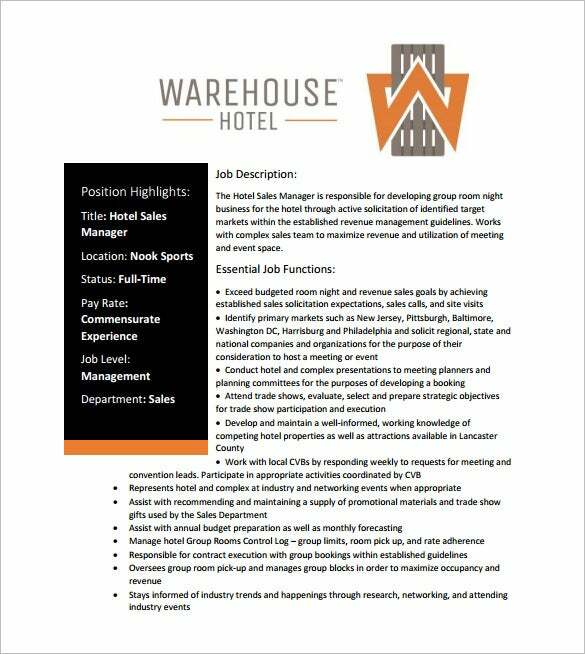 These templates can be used as posters, flyers and digital ads to rope in prospective applicants and employees. The templates are also used to emphasise the job duties, responsibilities, skills that the applicant must have, job details, working hours and other important and relevant information. 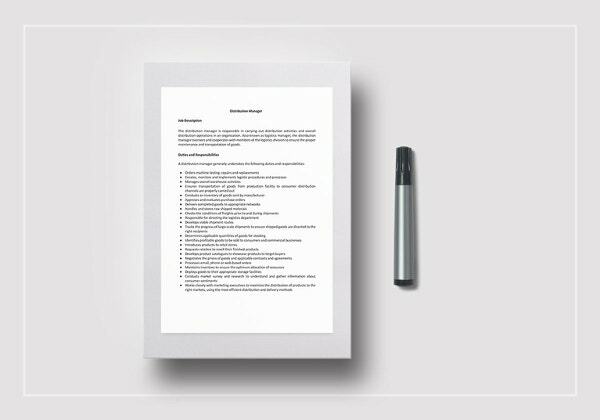 The target audience for the sales manager job description templates includes companies and organisations of all sizes. From companies offering perishable goods, to organisations providing travel services, every business unit that has a product or service to offer requires a sales manager. These templates can be used by hotels, travel companies, credit card companies, toy stores, sports stores, chain grocery stores and various other organisations and companies. 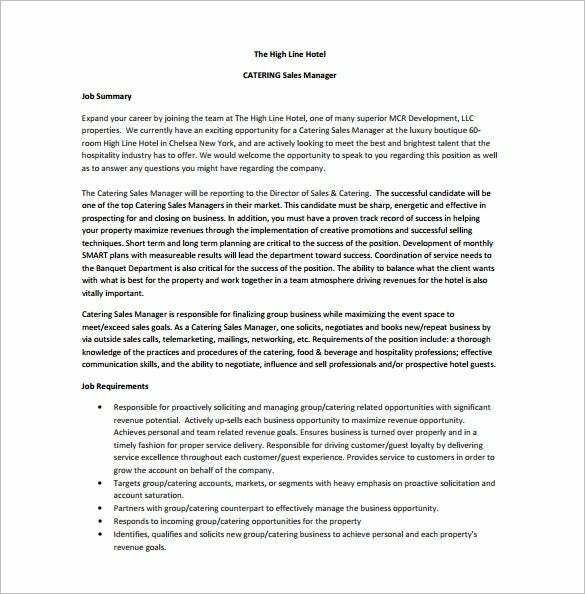 Typically any business unit looking to hire a properly qualified and experienced sales manager for their stores or office can use these well drafted and professional looking job description templates. 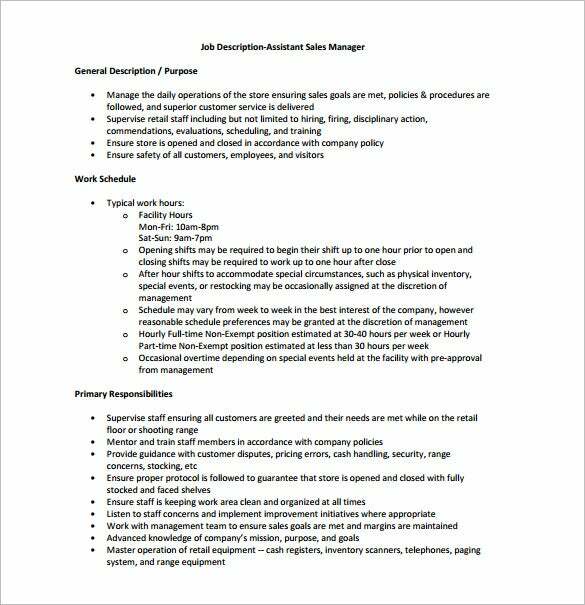 The sales manager job description templates are extremely beneficial for multiples reasons. First and foremost the templates are absolutely free of cost and extremely professionally drafted. Thus, the user need not spend large sums of money on downloading paid templates or hiring someone to draft the job description. Another reason why the templates are beneficial is because they can be used by practically all companies irrespective of the company size. 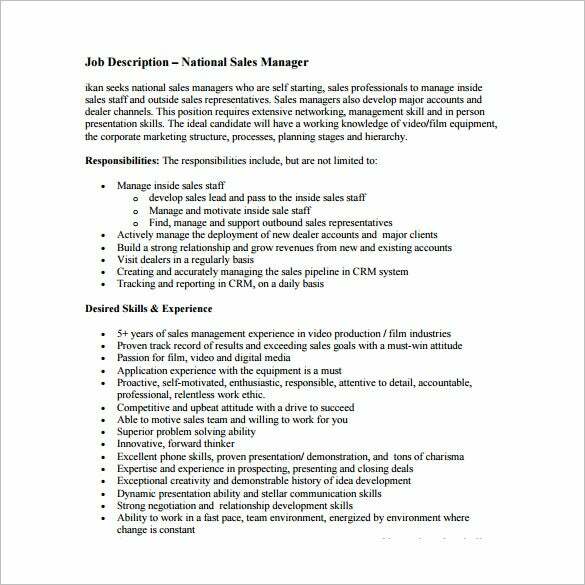 Additionally the sales manager job description templates are beneficial because they can be emailed, they can be printed out and can also be edited to suit the specific requirements of the user. Thus, the templates are extremely useful and beneficial to companies of all sizes and calibers.